Increased integration of on-line marketing is becoming more and more important and quite rightly. And it's not just about saving time it's about practically using the tools you have a t your disposal to reach the audience you're targetting. There is now an opportunity like never before to reach out to your current client base and utilse them through their own socail medai to promote yur products and services and it's not rocket science either. No marketing degrees, not £400 a day charges, just common sense good practice. An example I hear you say? 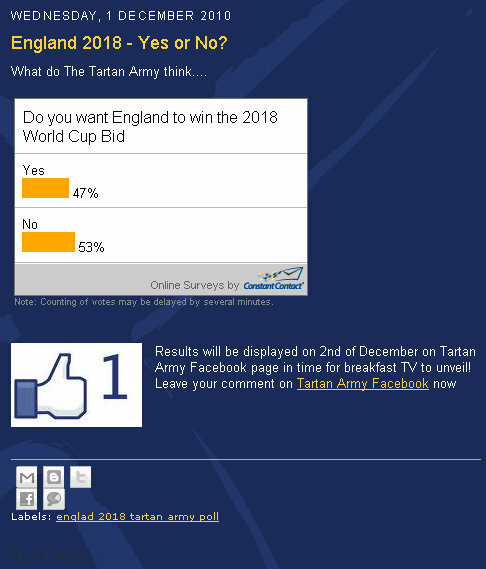 England 2018 - Yes or No? Now we know that from the hundreds of responses received on-line that the opinion is actually split a lot closer than we thought it would be. The question and answer however are irrelevant, it's the methodology that's important. Using ConstantContact we first of all created a Poll question - the email marketing package, which we've been using for must be a decade, is not only perfect for e-newsletters but also for guest questionnaires and in this instance a poll question - "Do You Want England to win the 2018 World Cup Bid"
Once the poll question was created it was uploaded to the Tartan Army blog. Took about two minutes to do by dropping the piece of code given to us by Constant Contact into the blog editor. We wrote a little bit of text and a headline and some tags for the search engines. The Blog article was published and it was now live online. We then took the link to the Blog article and put it up on the Tartan Army Facebook page - which had just over 3500 users at the beginning of the process - and encouraged users to vote. 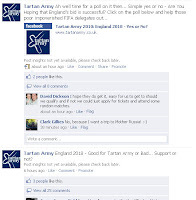 The link took them directly to the vote which was now live and hosted on the blog page. The aim was not only to target the current Facebook users but build more "likes" from the articles around it. The one thing for sure is that by tomorrow morning we'll know exactly how many more signed up and how many viewed the article. 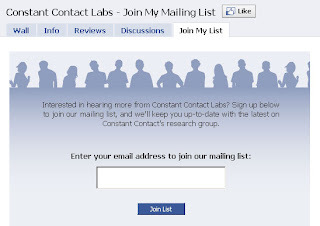 Going back to ConstantContact we then created a quick and simple email which went out to more than 3000 on the mailing list - not only can we track how many were sent but we can also identify how many were opened, how many were duff addresses and most importantly the level of click throughs to every link. 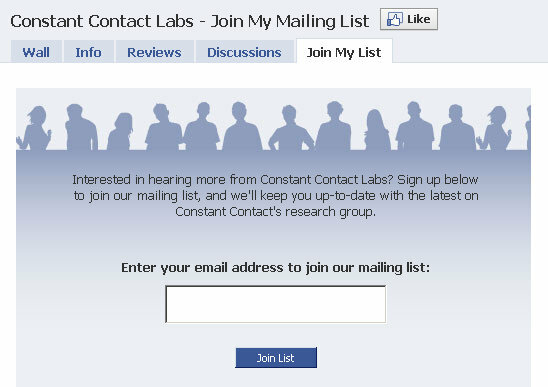 Also worth noting, the option for those receiving the email to post it straight to their social media pages and the links in the email themselves encouraging visits to the Blog and the Facebook pages. 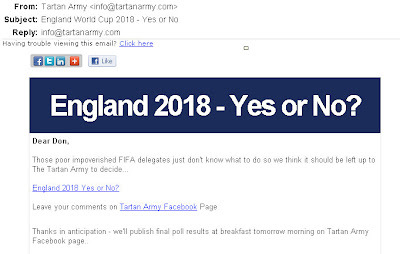 Remember you need to take every opportunity to promote your on-line distribution channels and make sure you cross promote all ways of keeping in touch - for example note (on the left) that on the Tartan Army Facebook you can choose to Join their List using the ConstantContact app. Building all your lists requires ongoing time and management but with the right direction you can achieve some stunning results with just some focussed professional support. 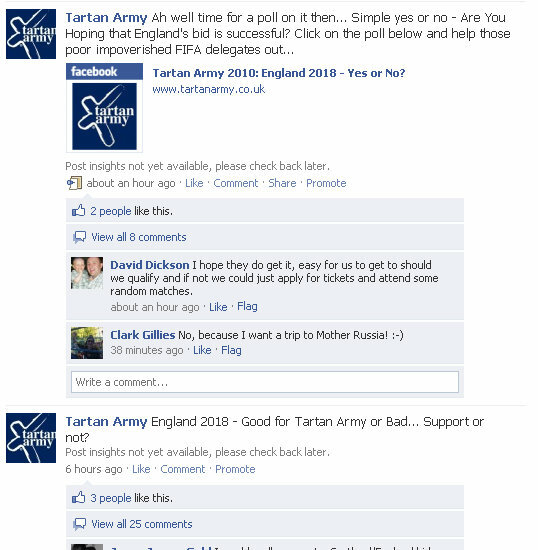 There is little doubt that we could all do with an additional marketing push in the coming twelve months. Your on-line marketing strategy is becoming increasingly affordable and easier to understand. Hospitality businesses across Scotland can communicate more effectively and efficiently than ever before and with some simple planning of your marketing strategies (on and off line) you can deliver some stunning results of your own.